Our Learning through Inquiry curriculum is inspired by Reggio Emilia, an approach developed in Italy which centers on the child, where teachers are facilitators for learning and co-learners instead of being instructors. We start by respecting the child as a capable individual. Even at a young age children will have their own views and theories about the world. Rather than dismiss them outright, we will design experiences that will provide children with opportunities for exploration, investigation, problem-solving and develop critical thinking skills. Instead of instructing them on a certain topic, we would design a project for them to apply the principles. This is a “child-directed” learning approach, as opposed to the more conventional “teacher-directed” learning approach, and we believe this encourages children to form their own opinions, challenge convention and take initiative. Learning through Inquiry encourages children to ask questions, think about the problems, and discover for themselves what the solutions are. This helps them develop into independent lifelong learners, and fosters the ability to innovate and be creative. 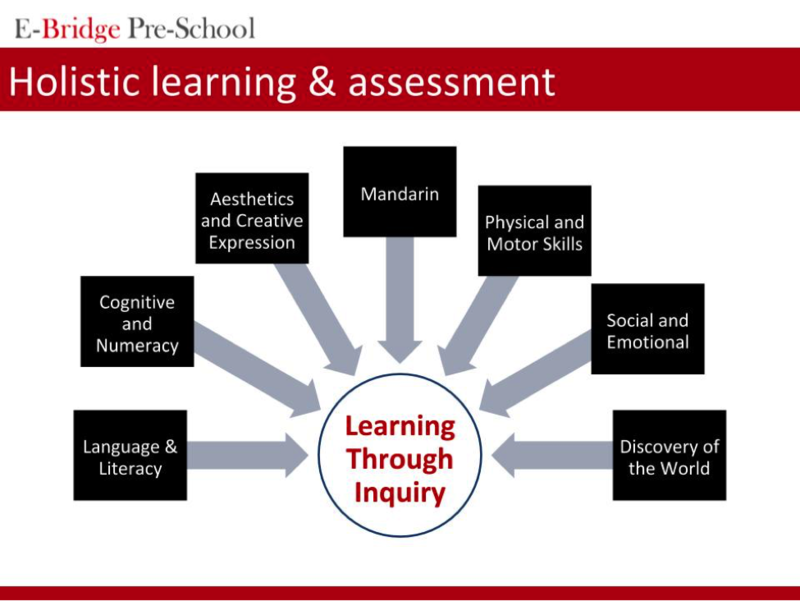 Learning through Inquiry contrasts with the academic approach to learning, which focuses on drills and memorising information, without knowing how to apply that information. It is also more engaging for the child (i.e. fun! ), which helps to foster a love of learning. We take a play-based integrated approach to learning. 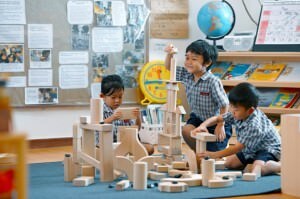 In an early years setting, the play-based approach is more engaging than an academic, worksheet driven approach and as children have fun while learning it encourages them to learn more. Integrated learning implies that the child learns many disciplines whilst doing a single activity. For example, whilst doing a seed-to-plant activity the child learns literacy (the words “seed”, “plant”, “stalk”), numeracy (counting the seeds, measuring the size of the plant), socio-emotional skills (taking turns, working as a team with peers), physical development (fine motor skills in manipulating the seeds to be planted) and discovery of the world (i.e. the science of seeds to plants). We take an integrated approach to teaching languages as well, where an English teacher and a Mandarin teacher would work side by side during activities so that the children learn both languages by immersion and application. Bahasa Malaysia is taught as a subject starting from the Kindergarten 1 class (5 years of age onwards). Language and literacy – reading, writing, speaking, listening, in English, Mandarin and Bahasa Malaysia. Cognitive and numeracy – precursor to mathematics. Aesthetics and Creative Expression – art, music, imaginative play. Social and Emotional – self-confidence, perseverance and determination, respect for others. Discovery of the world – science exploration, experiments to prove theories. 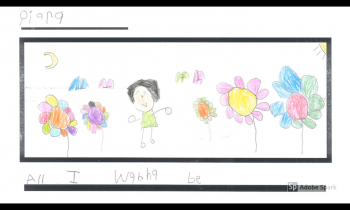 Textbooks and workbooks are a fixed, preset way to approach the learning goals, but our approach is more direct and flexible, which also means we can adjust and customize the pace to suit individual children. Our programme is suitable for entry to both International and National schools. Our curriculum and learning goals are consistent with, and in some aspects, exceed the requirements of Malaysia’s National Standard Pre-School Curriculum (KSPK). Children in the Kindergarten classes who intend to enroll in Chinese vernacular primary schools may also elect to take additional Mandarin sessions.